The Lakeside Eagles have captured 20 state Class 1A championships. Boys cross country has won six titles, followed by wrestling, which has won five. Volleyball has won three championships, girls cross country and girls basketball have two each and girls tennis and girls track and field have each won one state title. 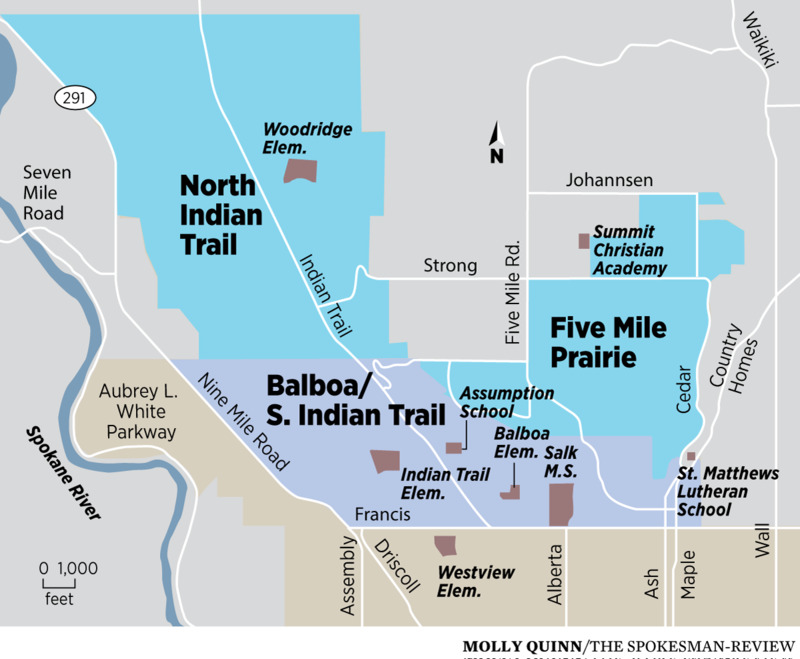 There’s a tired, old Spokane joke that goes something like this: What’s the difference between Five Mile Prairie and Nine Mile Falls. Four miles. It’s never been billed as a particularly GOOD joke. But it does spark a conversation over just what it is that makes the Indian Trail neighborhood, which stretches from Five Mile Prairie to the east to Nine Mile Falls on the west, special. In many ways, they have much in common – two unique neighborhoods connected by a stretch of classic, Spokane suburbia. In both cases, once you are inside on of these respective communities, you can easily forget that there is an urban area just over the horizon. The people who love these communities love their neighbors. They just like keeping them at arm’s length. They may love coffee as much as the next person, but don’t feel the need to have a Starbucks on every other street corner. And they probably don’t care if a pizza restaurant can get them a pie in 30 minutes or less. It’s a rural feeling without being isolated. It’s more important to them that they have the space to breathe and still have good schools nearby for their kids. On the Five Mile Prairie, it’s open spaces. At Nine Mile Falls, it an idyllic spot near a gorgeous lake – a perfect spot to get in some fishing, floating or boating. On Five Mile Prairie, it’s part of a great Mead School District. At Nine Mile Falls, it’s the Lakeside School District and all the school pride that having a hometown team implies. Five Mile Prairie boasts the home of an original settler to the area. John F. Strong. His Queen Anne structure was built in 1879. Nine Mile Falls has a piece of area history that dates to 1810, the historic spot where Spokane House was built as a fur trading post inside Riverside State Park. The bottom line attraction to both areas is the sense of community each inspires in its residents. It’s small-town charm in a community where you really can know most of your neighbors by name.